Silvester. Artist associated with 1 portrait. 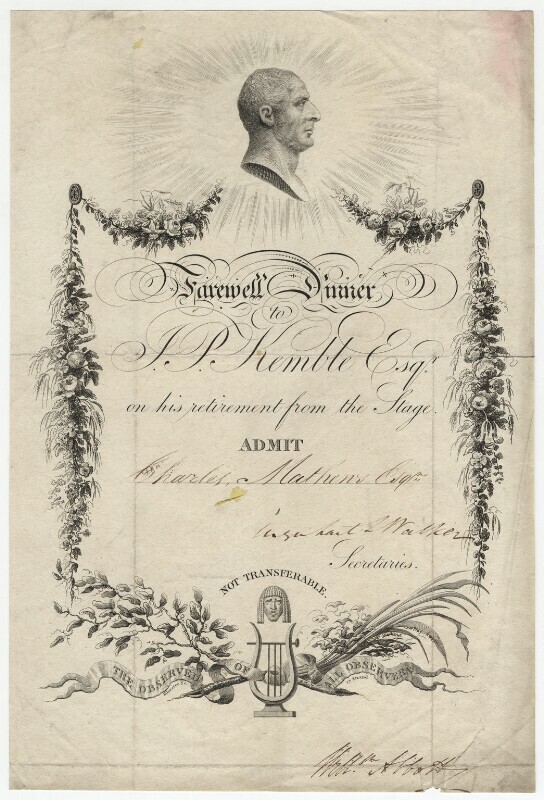 An invitation to Kemble's farewell dinner.